The Islamic State/ISIS has claimed responsibility for the machete attack on two female police officers in the Belgian city of Charleroi. The ISIS affiliated Amaq News agency made the claim, after a man shouting “Allahu akbar” (“God is great”) injured two police officers with a machete on Saturday. Belgium’s prosecutors said earlier on Sunday the attacker was identified as an Algerian national with previous criminal record. The man, 33, was not reported to have links with terrorists. No weapons or explosives were found in his backpack. 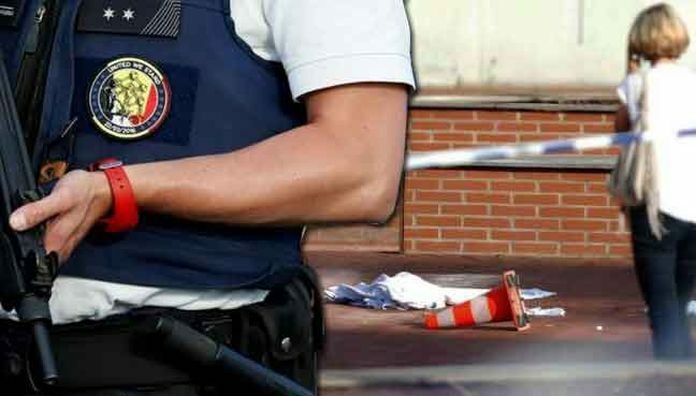 Two police officers were wounded by a man with a machete in Charleroi, the country’s RTFB broadcaster said on Saturday. Shouting Allahu Akhbar (God is great), the unidentified man injured two police officers with his machete in the city center. The attacker was later wounded and detained by the police, Charleroi’s police said.